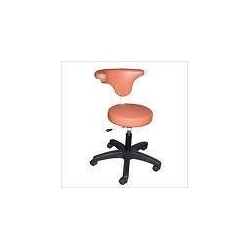 We provide an excellent quality Dental Stools, which makes the function and operation of dental chairs and other related equipment easy and comfortable. Our Dental Stools comes with the durable base made up of fibre reinforced material. These stools are very long lasting and comfortable due to its high quality material usage by us. These Dental Stools are available in minimum order quantity of one piece with a delivery time of six weeks approximately. We offer a one of the best after-sales service for our all products in the hour of need, that’s why we are in great demand across the globe. Dental World was established in the year 2003. We are the leading Manufacturer, Supplier of Pluto Dental Chair Pedo, Posch Dental Chair, Jumbo Dental Chair, Cluster Dental Chair, Polo Dental Chair etc. The products offered by us are highly appreciated for their high performance. These products are available in market at reasonable prices and one can avail these products from us.